This example shows how an additional function can be added to MS Word so that multiple clips of text are made available to the user in a listbox, for pasting. 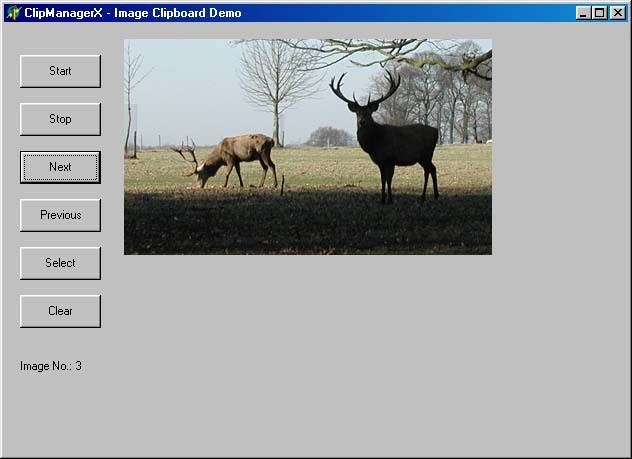 The ActiveX control ClipManagerX is used to provide the extended clipboard funtionality, with a small amount of VBA programming required to customise for use in Word. Install ClipManagerX, then extract the file MultiPasteT.dot from the zip file and place it in the Word startup folder. This is usually "C:\Program Files\Microsoft Office\Office\Startup"", but this can be confirmed by opening Word and looking in the "File Locations" tab under Tools/Options. The functionality will now be available automatically every time Word is started as indicated by the ClipMan toolbar being displayed. Note: If you have purchased the full version of ClipManagerX and require a copy of this sample code for use with the full version, click here to download.